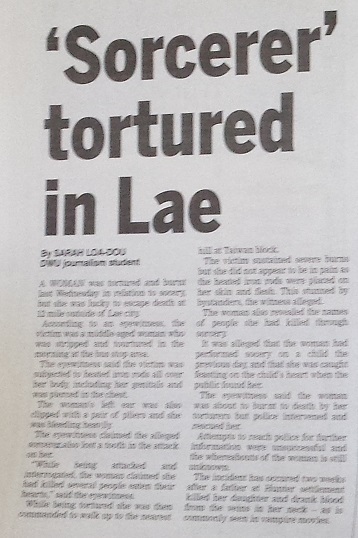 Danger is never far away in Papua New Guinea. A group of criminals conducted a brazen daylight robbery in Mt Hagen recently. Things went awry and they ended up trapped in a building and surrounded by the police. The police shot one of the criminals dead on the spot, and of course the picture of the dead criminal was plastered all over the front page of the newspaper. The incident ended with all of the criminals either killed or captured. A huge crowd gathered to watch the events unfold, seemingly oblivious to the danger of bullets flying in their direction. 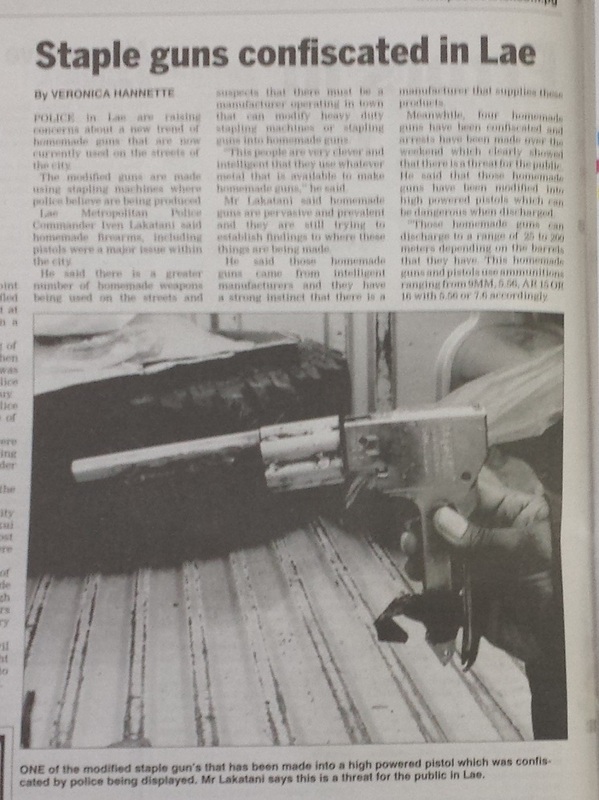 In Lae, police have been confiscating home-made guns – created by welding pieces of pipe to staple guns. They are as likely to kill the holder as the target, but this is the weapon of choice for carjackers in that part of the country. Speaking of carjacking, a good friend of mine, an English woman, was carjacked on my street a couple of weeks ago. I caught up with her on the weekend and got the full story. She was driving around a hairpin bend and found a car blocking her path with the lights shining in her eyes. Before she knew it, she was surrounded by guys (she remembers 3, but the useless guards nearby said that there were 5 criminals involved). They pointed guns at her and banged on the roof telling her to unlock the car. She had the presence of mind to get herself positioned so that she could spring out of the car as soon as the door opened. She pushed hard on the door and pushed past the criminal nearby. She said that she didn’t look directly at him or his gun and she was glad that she hadn’t. She thinks that she may have frozen if she had seen the gun up close like that. Instead, she took off, running up the street as fast as she could. She is fit and a fast runner so she was able to get away. She ran to a nearby block of apartments and yelled at the terrified guard to let her inside the big gates. He did and she was safe. The criminals took off with her car. She breathed a huge sigh of relief – feeling incredibly fortunate to have escaped the ordeal losing nothing but possessions. She eventually recovered her little red car. The police had been keeping an eye out for it and chased it for a while. By the time the police found the vehicle abandoned and she was called in to confirm that it was hers, the car had some bullet holes in it from the police chase. It had suffered multiple collisions and all of her stuff had been looted. She lost her bag, her keys, her phone, her wallet, etc. The car may be a write-0ff. But she said that the thing that hurt the most was when she realised that her favourite pair of shoes had been in the car too. Violence is simply a part of life for many people in this country. When I was out driving last Friday night, I saw three fights in the street within a 10 minute period. 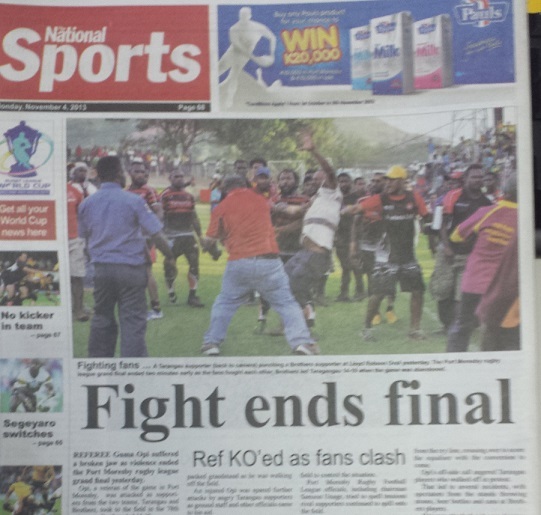 This story from the paper shows a brawl that broke out at a Rugby League match and resulted in the referee being knocked out for doing his job. Accusations of sorcery and violent reprisals continue to be common occurrences. And it’s not just violent crime that hamstrings the development of this country. White collar crime is rife too. 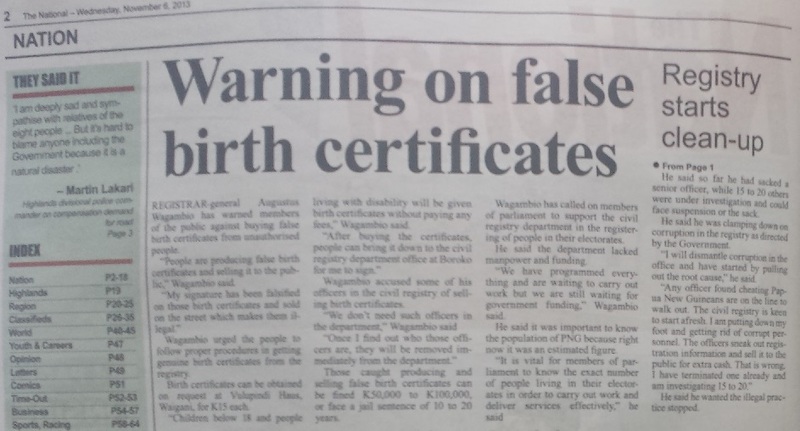 Here is a story about how staff from the Civil Registry have been taking bribes to produce false birth certificates. Even fundamental institutions like this cannot be relied upon to deliver services with integrity, which undermines progress on every front. As if the constant threat of crime is not enough, this country has a habit of killing people through natural disasters too. A toddler died recently when a river flooded and the family’s car was swept away by the swollen waters. The reality is that this is a harsh and untamed land. There are so many negative events and inevitable problems on which one could focus. One of the ways that one tunes out this constant threat is by actively making efforts to improve this place and to offer interesting things to do that would not otherwise be available. PNG, like many nations on earth, is a land of contrasts in which extreme poverty is often jarringly juxtaposed with wealth and opulence. But while there are very poor people here, by and large, there is at least enough food, water and shelter for almost everyone. And as the growing PNG middle class evolves, there is increasing demand for non-essential goods, bringing with it new opportunities for the workforce and business owners. There is a spectrum of development and industries tend to grow and mature at their own rates. 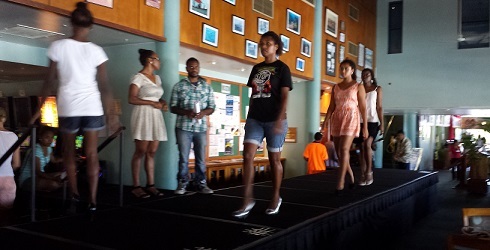 I was surprised to learn that PNG has a fledgling home-grown fashion industry. For the celebration of the “Melbourne Cup” Horse Race, each year the PNG Fashion industry contributes a fashion parade. It’s a chance for local tailors and retailers to show off their wares at an event where fashion is as important as the little men riding around a track on a horse. 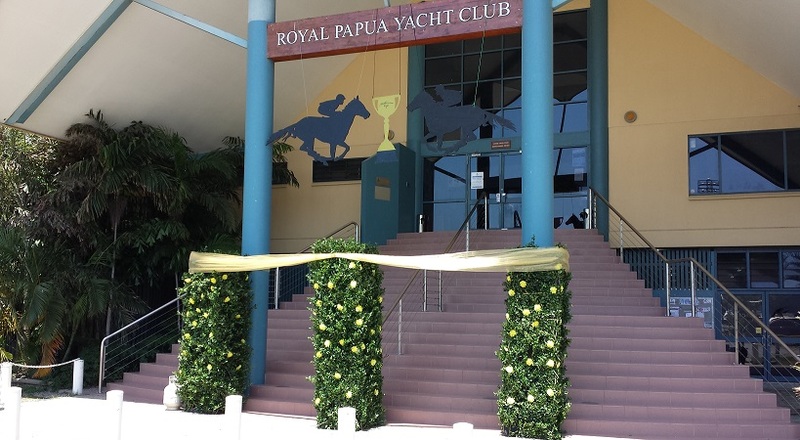 In Port Moresby, the place to be for the Melbourne Cup is the Royal Papua Yacht Club, which held the fashion parade as part of the celebrations. They must not have been able to find any good looking male models so they resorted to asking me to be involved. I jumped at the chance. I have a face like a train wreck, so I figure I’m unlikely to ever be offered the chance to be a model again in my life. It was far more involved than I anticipated. I thought I’d turn up, put on some clothes and wander around in them for a while. 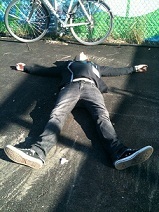 We had a demanding practice schedule in the weeks leading up to the event. Practicing walks, trying on the outfits, testing the makeup and all that stuff. The tailors had to do measurements (I have never had so many parts of me measured), and then do multiple fittings to get the suits right. 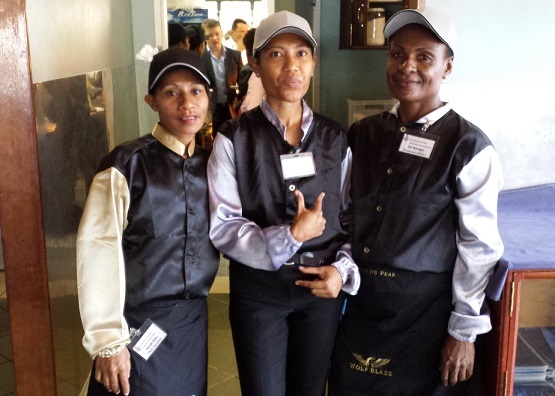 The show involved multiple vendors, including “Jeans West” – an Australian chain that has opened recently in Papua New Guinea. The parade even included a full wedding party, of which I was the groomsman. 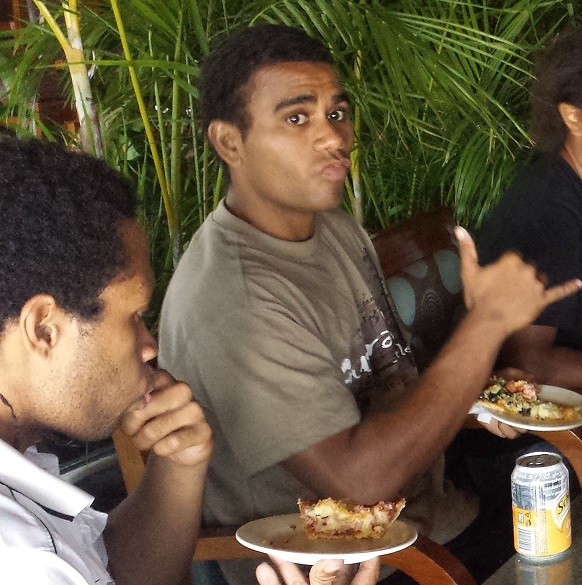 Sometimes after practicing our choreographed walks, and our “Blue Steel” looks, we were given pizza to feed the models. There were a couple of us foreign male models, plus a few local guys. 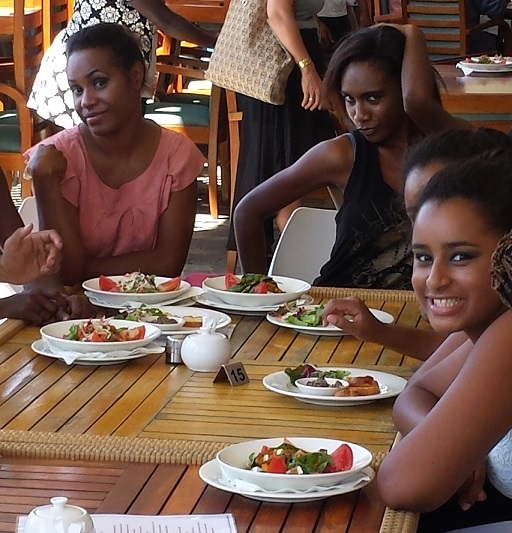 There were about 10 female models, some of whom were from Australia and other foreign countries. 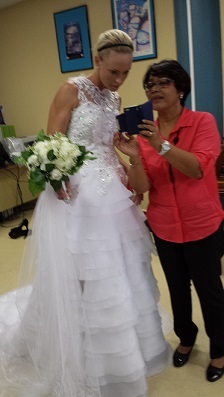 Finally, the big day arrived and it was time for our preparations to bear fruit. 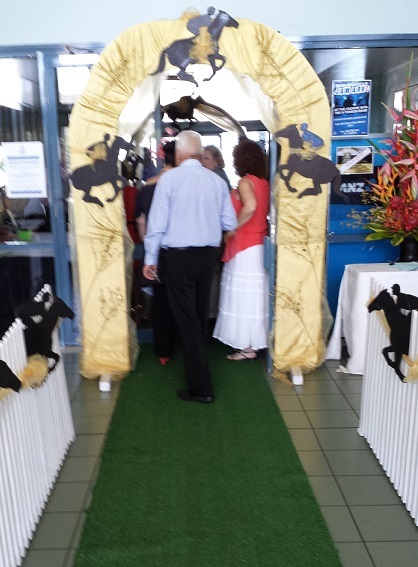 The Yacht Club decorated the venue extensively with a Melbourne Cup theme. The staff were dressed in special outfits to look like jockeys. They installed a huge screen to show the race, which was also used for a live feed of the fashion parade. 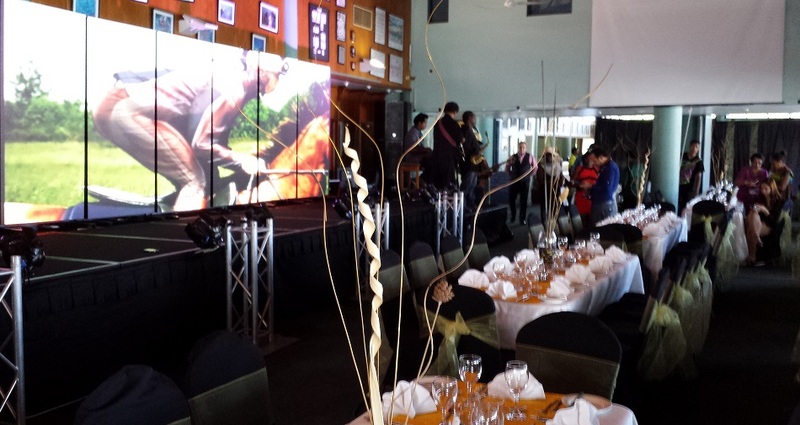 A live band performed to entertain the guests. 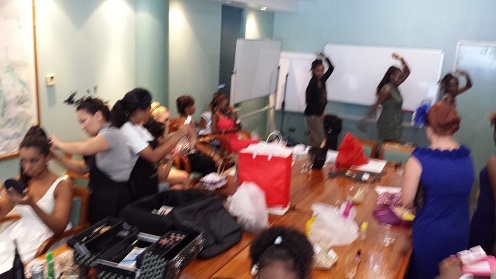 The female models had to arrive at 06:30 to have their hair and make-up done. I turned up about half an hour before the parade for mine. It was applied by a very competent and extremely camp Filipino guy. 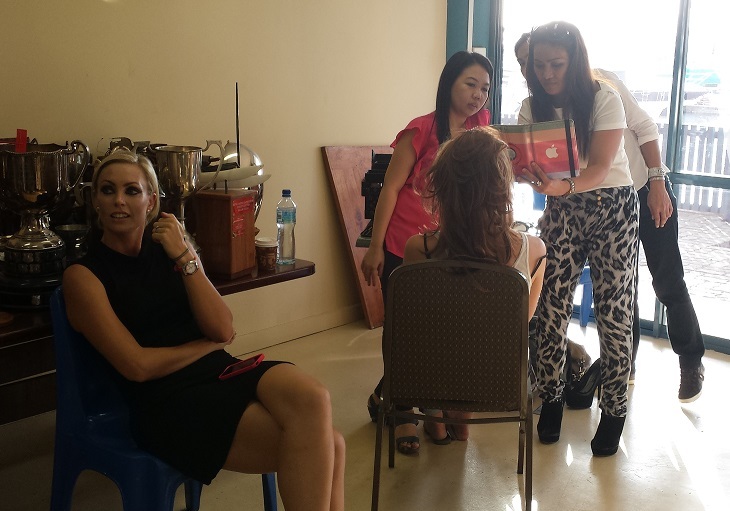 The backstage area was a frenzy of activity. 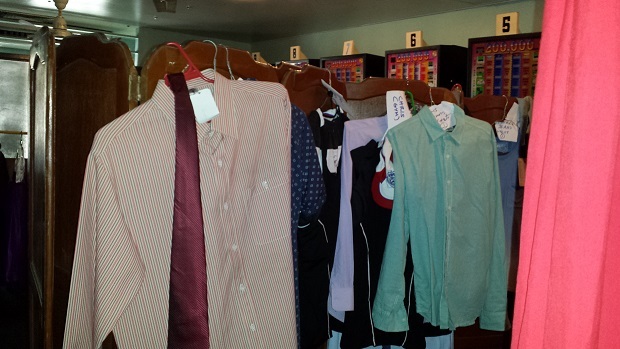 The outfits were all laid out and ready to go. 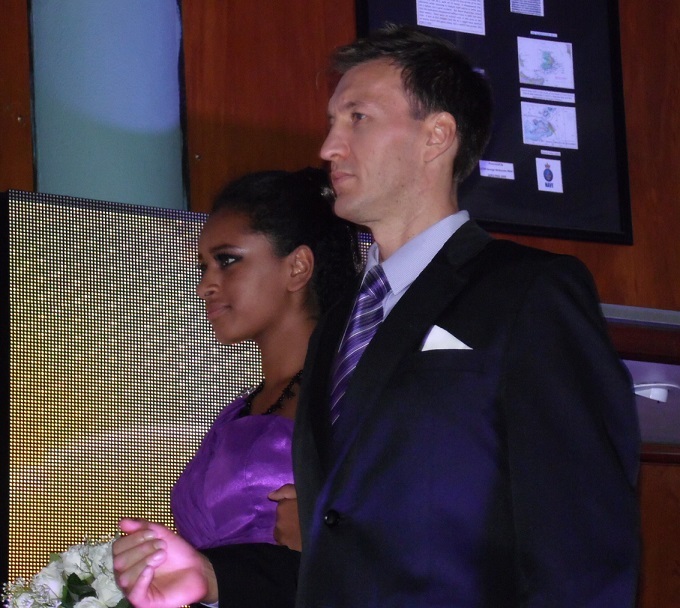 The patrons, who had paid 300 kina to attend, arrived in force – complete with fashionable outfits. One could be forgiven for thinking one was by the racetrack in Melbourne based on the enthusiasm for hats that was on display. It was time to go on. After the hours of practice, the actual event seemed to pass very quickly. 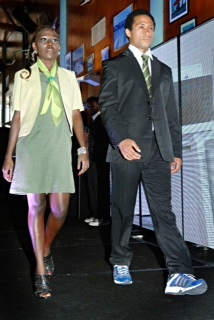 I modelled some office wear, beach wear, sportswear and casual wear. It required some quick changes backstage. The ladies all looked fantastic in their formal gowns. The “Jeans West” collection included some beach wear. 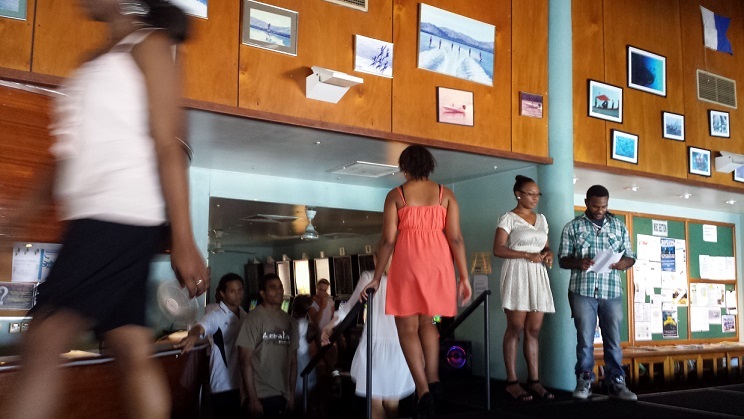 The grand finale was a full wedding procession. 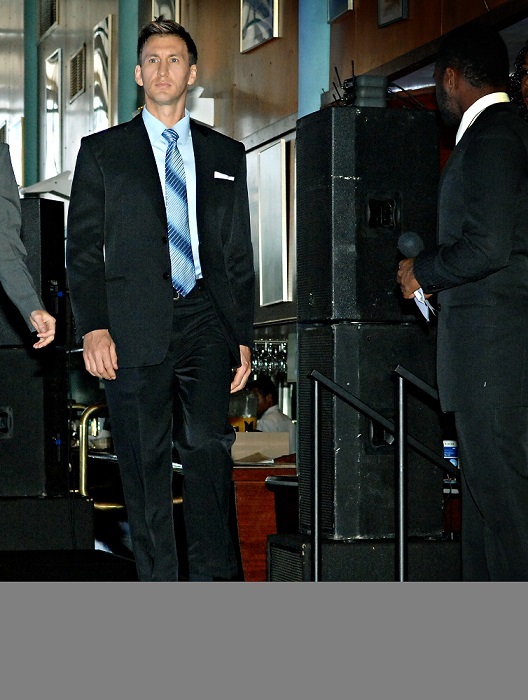 Here I am escorting one of the bridesmaids along the catwalk. Afterwards, they provided us with food from the banquet. I had the salmon, which was outstanding. It was a lot of fun and I was very pleased to have the opportunity to participate. 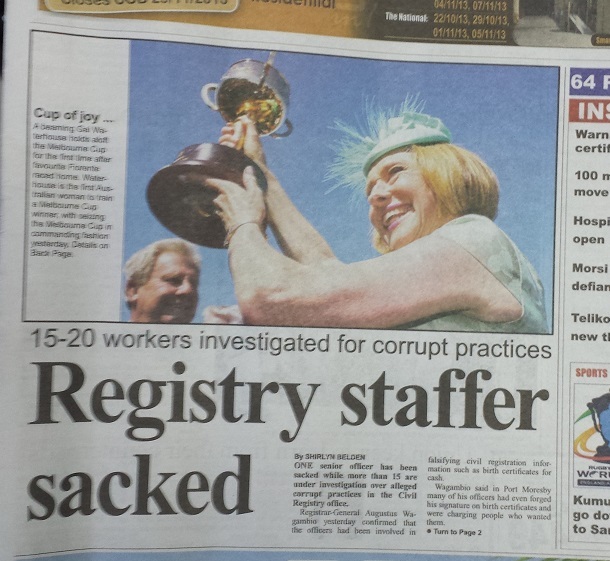 The next day, the outcome of the Melbourne Cup was the top story in the PNG papers – a clear demonstration of the close ties between this country and Australia. 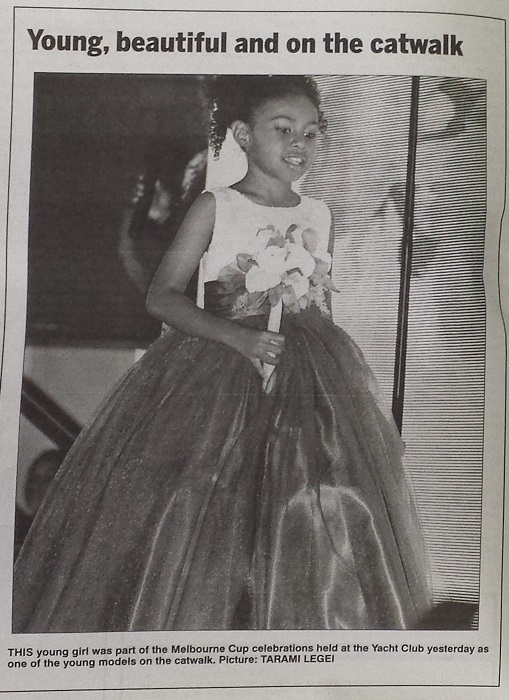 I was hoping that the papers might have covered the fashion parade, but the only picture that I saw was this one – of one of the flower girls from the wedding outfits section. 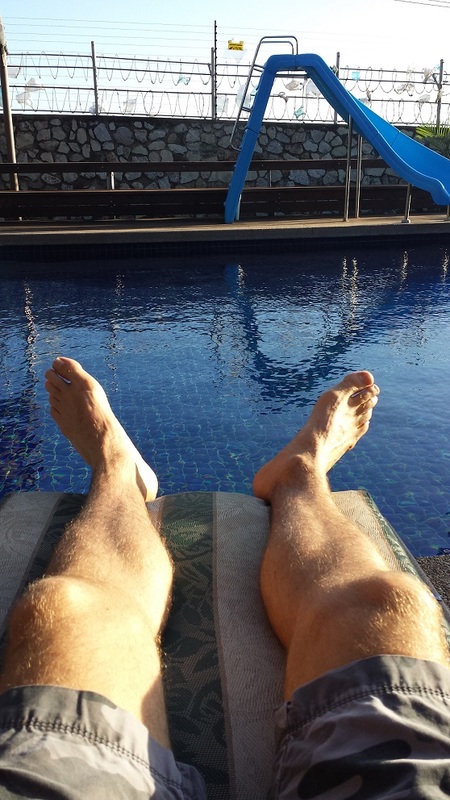 After all of this effort, it’s important to relax and recuperate. Here I am doing that by the pool. Note the garbage bags that have been blown through the air and caught on the razor wire fence. That’s typical of this country – beautiful sunshine and loafing by the pool – all within a giant electric fence to keep the criminals out. 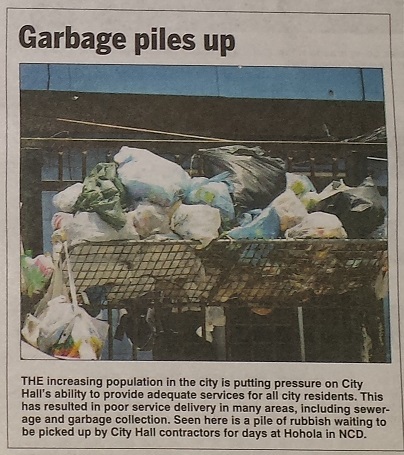 Garbage collection is beginning to be a problem here due to the explosion of population in Port Moresby over the last few years. If they don’t get their act together and improve collections then this place is going to start looking like Naples, Italy. 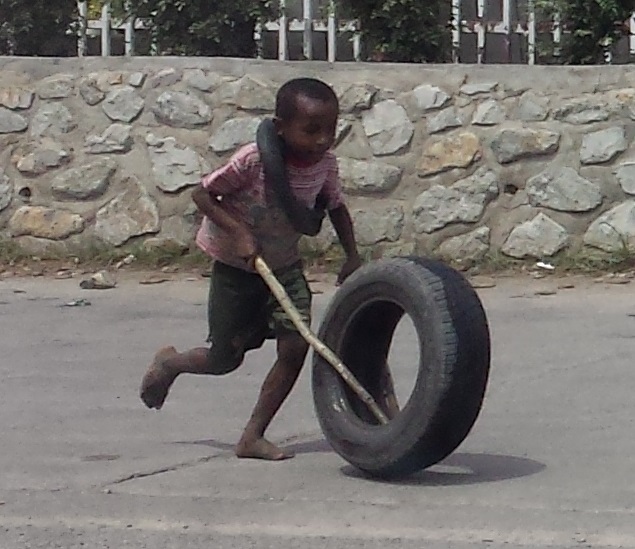 I came across these poor children playing with old tyres recently and it warmed my heart. 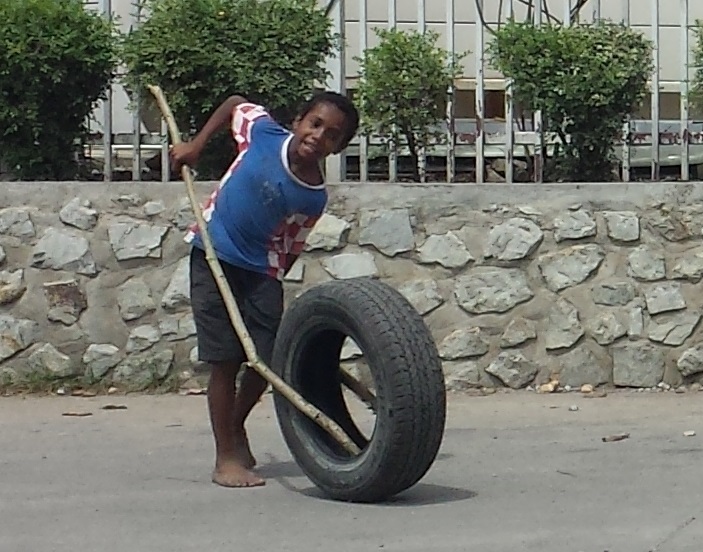 The idea is to push the tyre along with the sticks without it falling over. 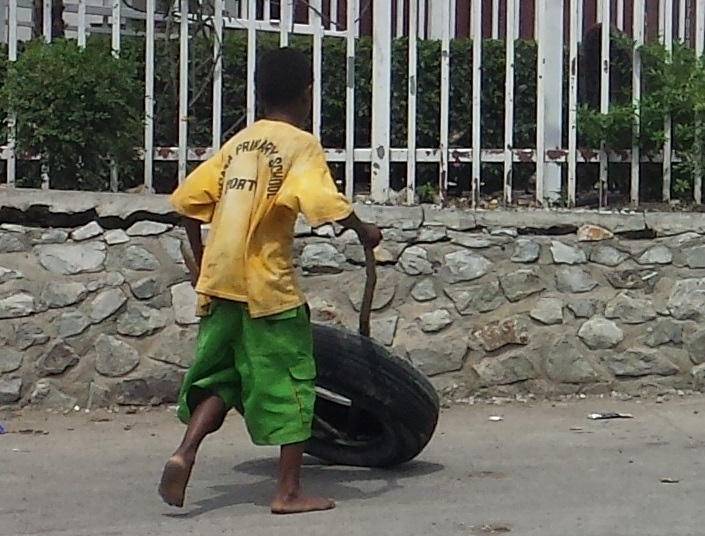 It warmed my heart to see this because that is what I had expected to find when I came to PNG – poor people making the best of things and doing what they can to improve life with meagre resources. But instead, with the economic boom that has taken place in Port Moresby, I found lots of fat, overprivileged children eating ice cream. 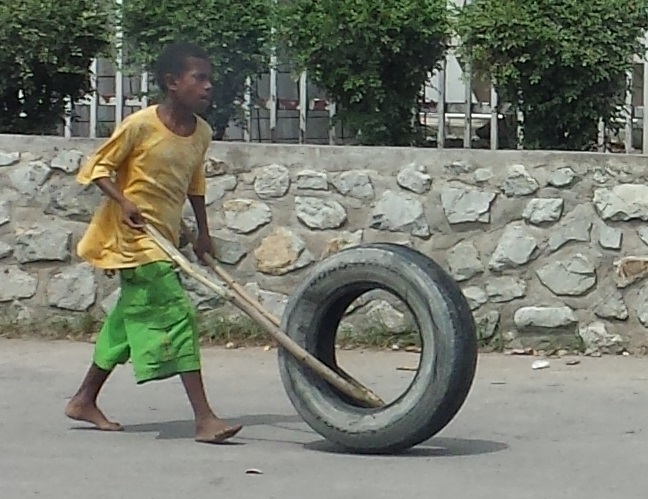 So I was pleased to see these kids having fun and getting exercise with their simple game. Thanks for following my blog. I really appreciate the feedback I’ve received. Until next postcard…. You make a very handsome model, Chris! Awww. Thanks Effie. 🙂 It was really fun. I’d really like to do some more of that stuff if I ever get the chance.